Making learning a hands-on, wildly fun experience. Learning made fun and even more to discover at the Zoo. Great for kids of all ages, our programs educate, entertain and excite with animal encounters and lessons in how we can make a positive impact on our planet. Get your Zoo camp adventure started. Find more details on school break and summer camps and how you can sign up for all the fun to be had. Looking for a wild adventure? The Zoo offers so much to do. Fun-filled adventures for all ages, our programs educate, entertain and excite with animal encounters and lessons in how we can make a positive impact on our planet. Bring the Zoo to you. Our animal ambassadors are ready to come to your school, office or community to share more about some of the world’s most fascinating creatures. 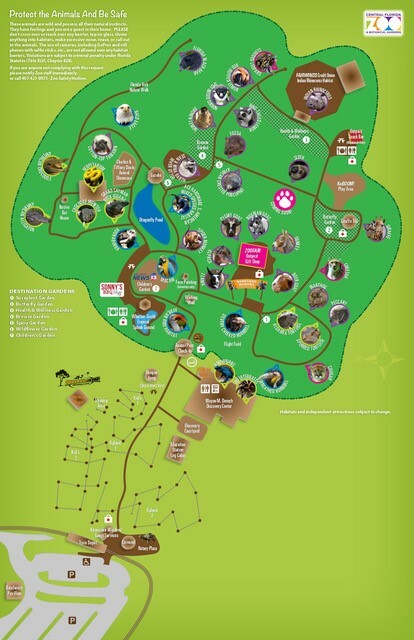 Plan your visit to the Zoo. Tour the Zoo at your own pace and save with discounted admission rates for groups of 15 or more.